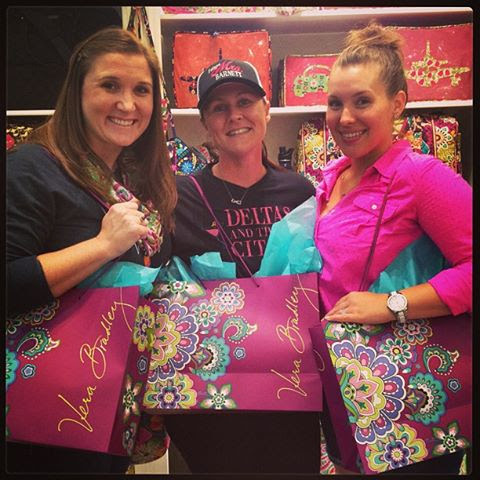 Me, Amber and Tiffany at Vera Bradley's Pajama-rama! 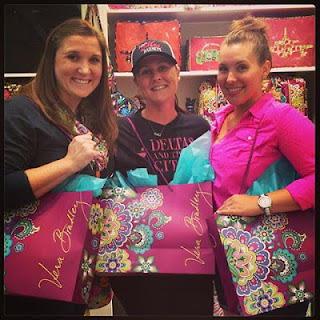 Today the campus items are available for purchase and the items that are coming out July 9 are available to view online at verabradley.com. TODAY IS THE LAST DAY TO ENTER THE SUMMER BEAUTY GIVEAWAY! Enter by Midnight! Some stores are releasing the new fall print bags early. I got my Lola tote a couple of days ago and love it!